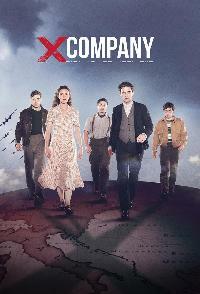 X Company Five highly skilled young recruits Canadian, American and British are torn from their ordinary lives to train as agents in an ultra-secret facility on the shores of Lake Ontario. These agents parachute behind enemy lines, where theyre fair game for torture and execution. From elegant hotels to hellholes in the field, its one risky operation after another. Xena Warrior Princess Xena, the warrior princess is bent on overcoming her dark and hateful past. She must save innocents to redeem herself, in the eyes of the world and to herself. She is aided along the way by best friend Gabrielle, a struggling bard who later turns warrior herself. Xena: Warrior Princess was a sometimes serious, often campy and an occasionally emotional rollercoaster ride of an action series.